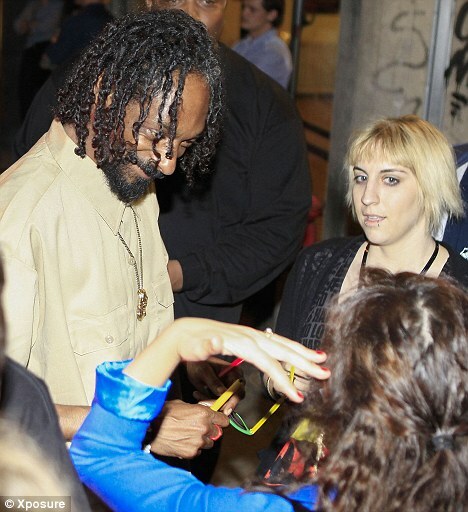 Snoop Dogg 'detained at Norway airport after police discover 8 grams of marijuana' - kaycee Weezy! Snoop Dogg was detained at an airport in Norway today after authorities allegedly found him in possession of marijuana. The rapper, 40, was stopped at customs at the Kjevic Airport in Kristiansand where customs officers are said to have discovered eight grams of the drug. He was fined 12,000 Norwegian Krone - just under $2000 - and released. Snoop will perform at the Hove Festival later today. It was his second drug bust this year alone - in January he was arrested in Sierra Blanca, Texas after his transport was stopped at a Border Patrol checkpoint. Snoop has a long history of legal problems, including a 1993 murder charge, from which he was eventually acquitted, numerous convictions for marijuana possession and in 2007 he was given a given a three-year suspended sentence after pleading no contest to possessing a gun and drugs. Earlier this year he announced he wanted to speak to Barack Obama in a smoky room so he could ask him to legalise his favourite drug. In an interview on Hot 99.5 he said: 'Before I even said "Hi" to President Obama, I would change the aroma of the room.